George Plimpton has 3 media appearances. Nicholas Dawidoff will be interviewed by Wright Thompson about his definitive portrait of professional football's hidden world. Football is the country's most popular pastime, and yet most of what happens in today's NFL is a mystery. The New York Jets gave Nicholas Dawidoff a security code, a locker, an office in the scouting department, and for an entire year he lived with the team. He has written a vivid, funny, and moving narrative about an emblematic NFL season that deepens the way we know the game. In COLLISION LOW CROSSERS, Dawidoff introduces us to a memorable cast of characters: brilliant, polarizing head coach Rex Ryan; the defensive coaches and their offensive counterparts and rivals; the best defensive player in football, Darrelle Revis, and the young, whimsical, and erratic quarterback Mark Sanchez; and the brotherhood of American characters who come together to form a team. Nicholas Dawidoff is the author of four books. One of them, The Fly Swatter, was a Pulitzer Prize finalist, and another, In the Country of Country, was named one of the greatest all-time works of travel literature by Conde Nast Traveller. A graduate of Harvard University, he has been a Guggenheim, Civitella Ranieri and Berlin Prize Fellow, and is a contributor to The New Yorker, The New York Times Magazine and the American Scholar. 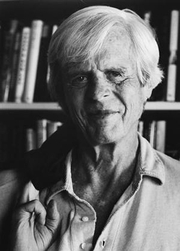 George Plimpton is currently considered a "single author." If one or more works are by a distinct, homonymous authors, go ahead and split the author. George Plimpton is composed of 10 names. You can examine and separate out names.